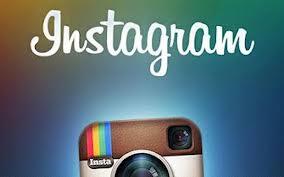 How to win popularity in Instagram? > How to win popularity in Instagram? Everyone wants to be popular in social networks, not deny it. Especially in Instagram, this system has come to take our artistic side and open. We love the world to see what we consider funny, beautiful or different. To win popularity in Instagram, I have made ​​this list. 1 - Do not forget to hashtags (you know, words with the pound sign), it is very important that all your images are classified. So whenever someone searches for a certain word you locate you. Example: you upload a photo of a kitten, then you must put # cat # cat # catlovers # littlecat # kitten. 2 - Choose a name that is easy to find. Not the same result with a user named "perrofeliz" than one called: "ljh76_00_lm". 3 - Do not upload photos of drunk or badly made. People hate to follow someone who only upload images that unclear or repetitive. That will make you lose popularity. 4 - Watch your frames. Do not be wrong. There is nothing more popular than well taken photos. Get fame by uploading quality stuff. 5 - Do not leave empty space biography. Always better to know who is, you follow someone who says nothing of himself. Do not be embarrassed to say a few things. 6 - Living with people from other parts of the world. Go to the section "explores" and follow them. Within more activity you have, the more followers you will gain. 7 - Give like to photos of others is important, but even more important is that you comment. A timely and intelligent commentary always be curious. They could visit your profile and give follow. 8 - Linkea to Instagram your social networks, especially Twitter. So people will follow you out there could give your Instagram and follow. 9 - A good tactic to win followers is to choose a topic you upload classified with some regularity. That means constantly share something you find on your way. Example: "upload photos of every flower stall in the city", to this we add a hashtag invented by you, eg: # floresdelDF or # Floreriaspopulares. All you will notice that some compromise and, each week, could see this kind of content in your Instagram. I recommend. Trust us. 10 - Do not tail with the titles of your photos. Do not raise a glass and put the title "glass". We all know what it is. Try to be more creative and not overly forever. People hate titles like "tree of life and love breathing." Find balance when choosing a title. So, what are you waiting for? Just Google it for the best social media marketing experts and buy instagram followers and improve your social presence of your business.